Although the roof is one of the most important elements of a home, sadly, many homeowners tend to overlook it. Most people only realize that their roof needs replacement after it starts leaking or falling apart. When it comes to asphalt shingle roof, you don’t have to be an expert to know when it’s time to replace it. A leak in the shingle roof could actually be due to many different roofing problems. But what factors really determine whether a simple roof repair will be enough or your house needs a roof replacement? Well, a little knowledge can save you a headache and a great deal of money. In this article, you are going to learn some tell-tale signs that your asphalt shingle roof has reached past its useful life. How old is your asphalt shingle roof? This is one of the most important factors to consider when determining whether your roof needs to be replaced. According to experts, an asphalt shingle roof should last between 20-30 years. Of course, many asphalt shingle roofs are built for exceptional durability, although many different factors can accelerate the aging of the shingles. This means that if your roof is past 30 years, then it may have reached past its expiry date and it’s probably a high time to call up a roof construction company to get it replaced. Asphalt shingles curl in two main ways. One way is “cupping” where the edges of the shingles tend to turn upwards. The other way is “clawing” where the edges of the shingles stay flat and the middle part starts to move upwards. If you notice the shingles curling, there is no going back from this. Curling is a strong indicator of weathering and your roof may show signs of leaking. The shingles will eventually become so brittle such that they will start blowing off during strong winds. Depending on the extent of shingle curling, you have about 1-5 years to get a replacement. 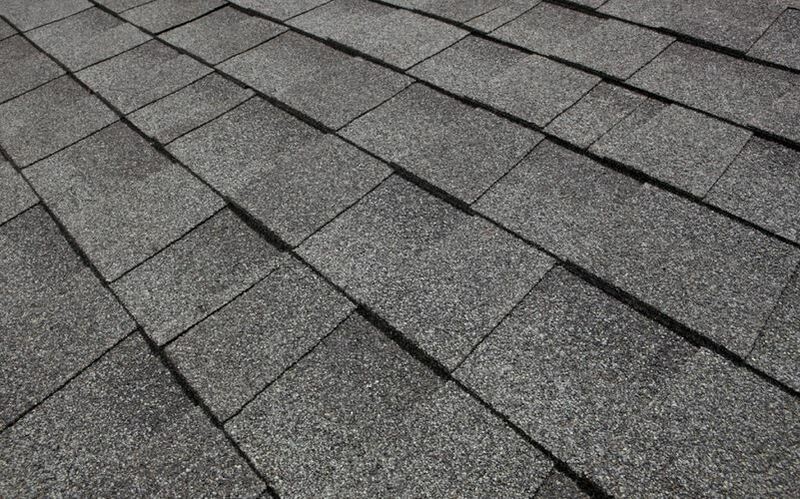 Wind damage is often the main cause of cracked shingles. If only a few shingles are cracked, then there is no need to replace the entire roof. Simply replace the cracked ones. However, if there are many cracked shingles throughout the roof, this is a sign that you need to replace the entire roof soon. Missing shingles can be noticed from afar. You could start replacing them one by one, but you can only do this for so long. The color of new shingles and old shingles won’t just match as color tends to change due to weathering. So unless you want to have a sort of weird decorative shingle roof, replacing the entire roof seems to be the best option. You will know that the quality of your roof shingles is deteriorating fast when the asphalt granules start coming off. This could be a sign that the roof is probably halfway or three-quarters its lifespan. In a few years, you should start thinking about replacing it. Your roof may need replacing if you notice the shingles buckling. Buckling can either be caused by improperly installed shingles, old roof felt, or bad roof ventilation. This problem can lead to leakage and accelerate rotting. These signs will give you a heads-up on the right time to replace the asphalt shingle roof. Moss or algae growth is another strong sign that your roof needs replacement. Moss and algae are not only unappealing as they can make your roof look a hundred decades old, but they can also hinder its ability to function properly. While you have the option to scrape it off once it appears, it can be tiresome- it’s something you wouldn’t want to do on a regular basis. Replacement is the only option here. Water damage on the roof and house interior is a good tell-tale sign that the roof is damaged and allowing passage of excess water. Excessive water damage can lead to roof and interior rot. If the interior has started yellowing or browning, this is a sure indicator that your asphalt shingle roof is losing its function and needs a quick replacement. An old and worn roof can be noticed from afar. It’s unappealing and can make the entire home look neglected. No buyer would even want to purchase a house with such a roof! So if the roof truly looks old and worn, then you should probably start thinking about replacing it. Once your asphalt shingle roof starts showing these warning signs, it won’t take long before it starts falling apart. Your roof does a great job protecting you and your family from weather elements and other external dangers. So be sure to have it replaced before things get worse.